Cousins Maine LobsterConvince the ‘Shark Tank’ investors why you’re the perfect person to sell this product. 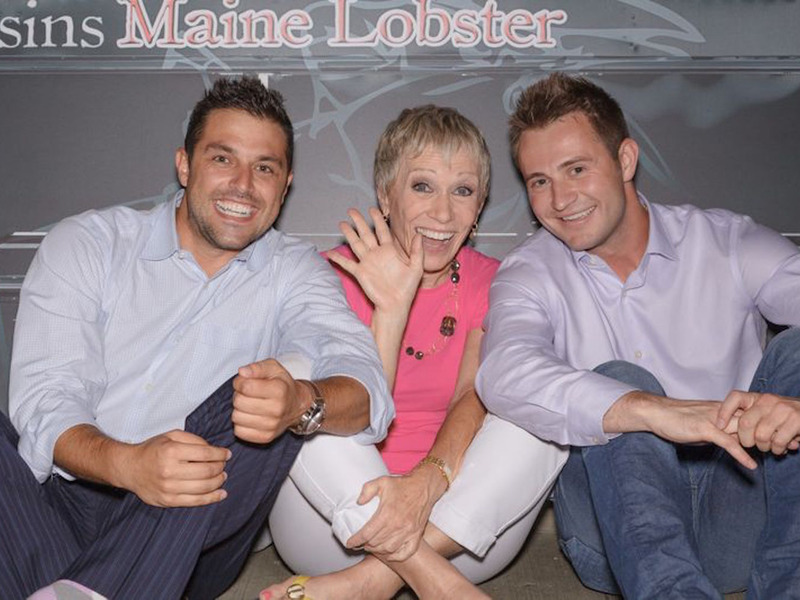 The Cousins Maine Lobster founders pictured with Barbara Corcoran. Successful “Shark Tank” alumni – the founders of Lollacup and Cousins Maine Lobster – say it’s important to tell your story when you’re pitching investors. That way, you can show them why you’re the perfect people to sell this product. The founders say too many entrepreneurs overlook this element of their pitch, both to investors and to customers. But customers today want more information than ever about the companies they support. When Hanna and Mark Lim appeared on “Shark Tank” in 2012, they knew that the product they were pitching could seem pretty generic. The Lims’ company, Lollacup, produced safer sippy cups for kids, made in the US to ensure safety. And while they understood why that concept was revolutionary, they also understood that other people might not see it that way at first. “We were launching a sippy cup, which is sort of ubiquitous for parents,” Hanna said. So to gain an edge in front of the investors, the Lims made it a priority to tell their story. When one of the sharks, Lori Greiner, asked to hear about the Lims’ background, Hanna explained that she and Mark were middle-school sweethearts, and that they’d been dating since 1992. Since then, they’d married and had two daughters. The Lims also shared the inspiration behind Lollacup: their frustration finding a safe and hassle-free sippy cup for their daughter. In other words: why the two of them were perfectly positioned to sell the best sippy cup out there. Ultimately, the Lims landed a deal with Mark Cuban and Robert Herjavec: $US100,000 for 40% of their company. Lollacup is now called Lollaland, and has since expanded into more products for infants and toddlers. Today, the Lims make it a priority to share the same story they told on the “Shark Tank” stage with a wider audience. “Our customers want to know that it’s two parents that were the brainchild behind this and that we put everything we have into it,” Hanna said. Tselikis and Lomac wound up winning $US55,000 from Barbara Corcoran, in exchange for 15% of their company. They have continued to make it a priority to tell their company’s origin story. The Cousins Maine Lobster website features a photo of the founders as kids, in Maine with their grandfather, holding a lobster. For Tselikis and Lomac, their story is a way to not only win over investors, but also to make sure their franchisees run the business just like they would. All their franchisees are sent to Maine, where they spend time on lobster boats and hold live lobsters in their hands. The founders of Lollaland and Cousins Maine Lobster agree that sharing your company’s story is more important than ever these days – and that too many entrepreneurs overlook that piece of running a business.